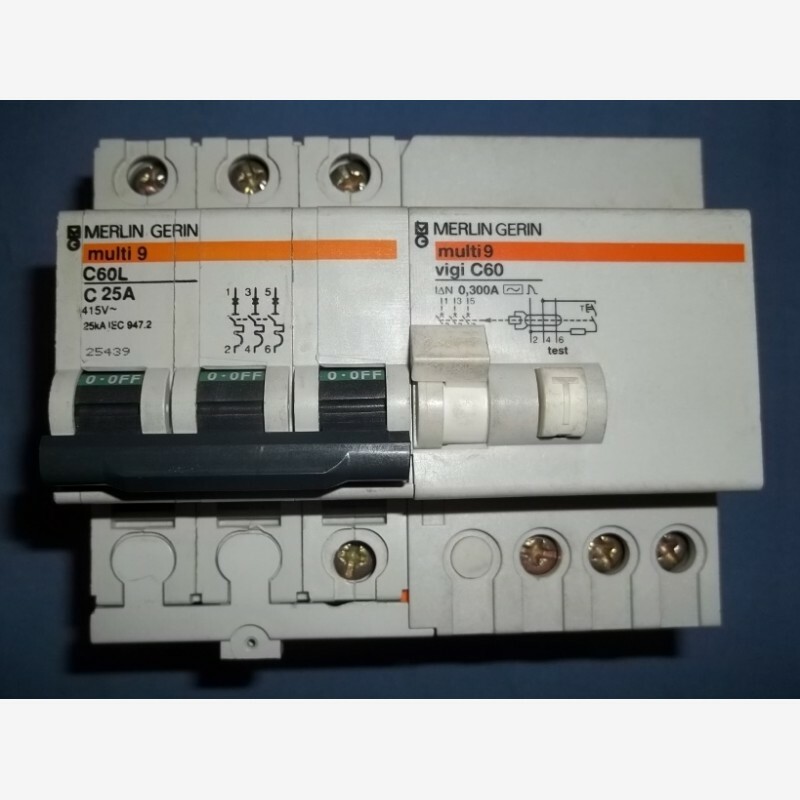 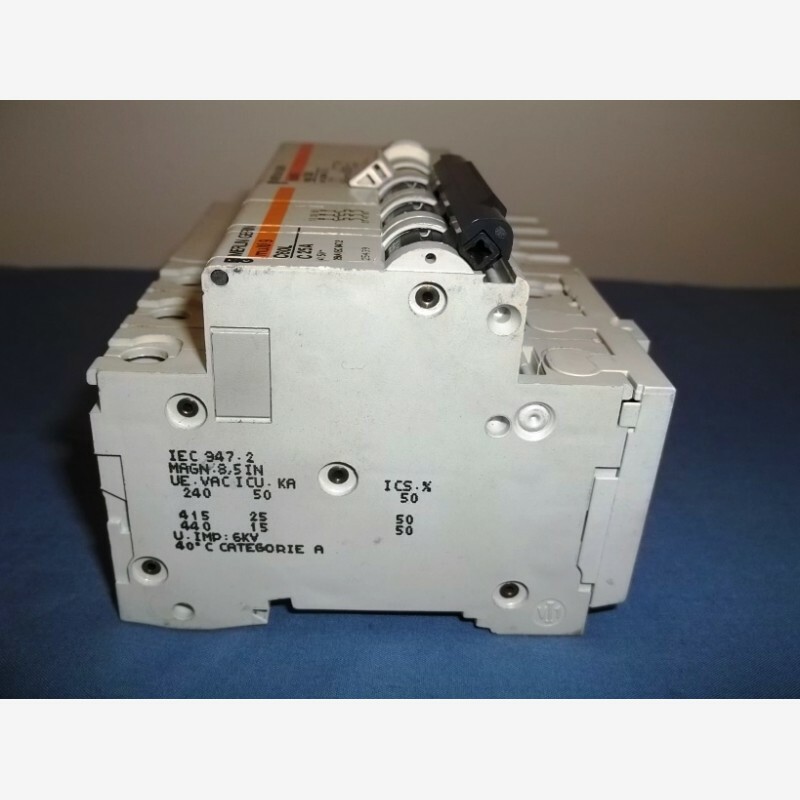 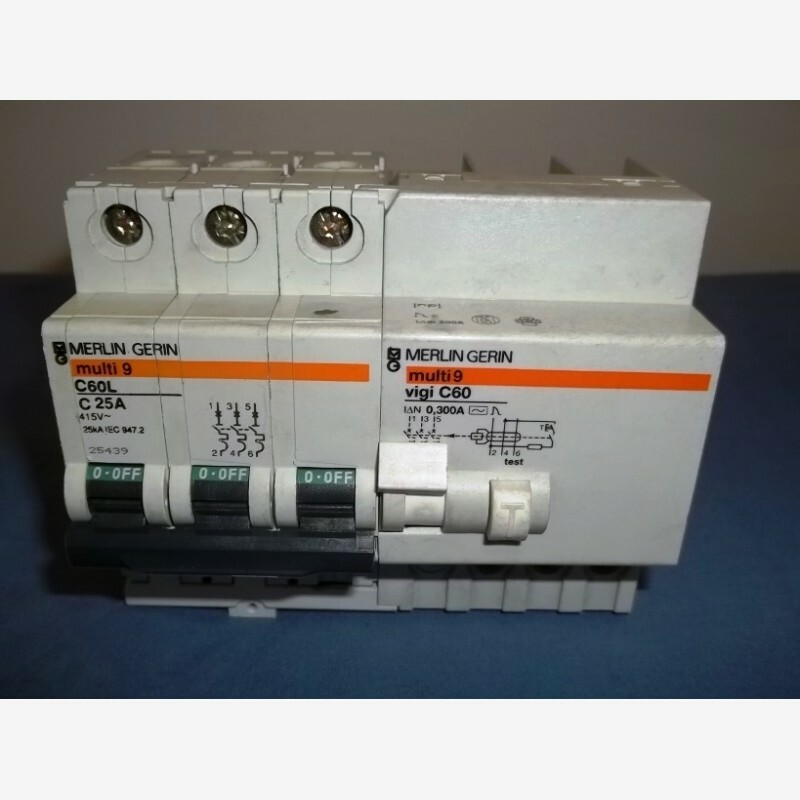 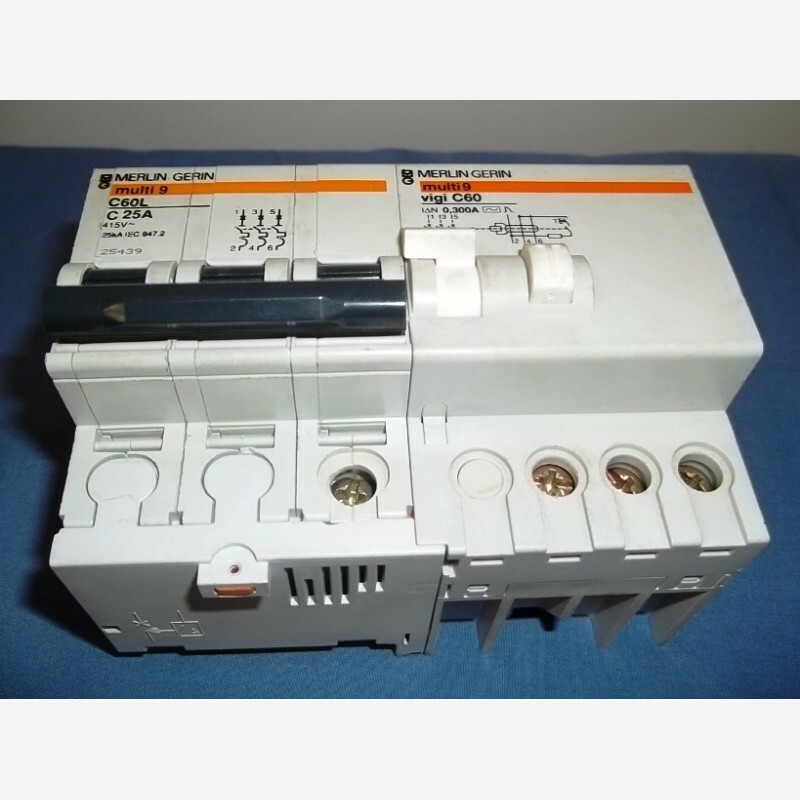 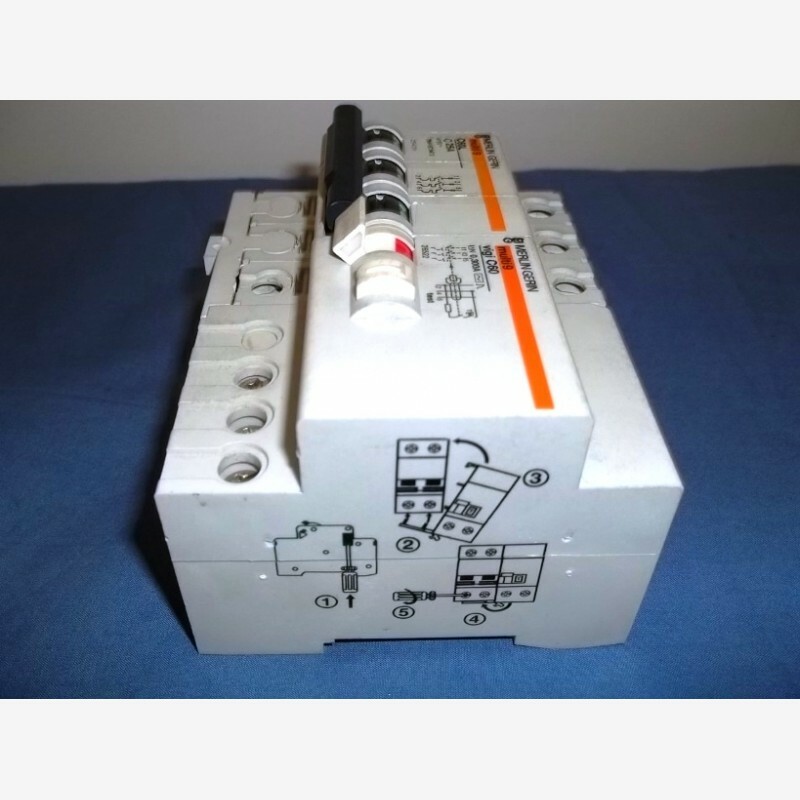 Merlin Gerin multi9 C60L C25A with Merlin Gerin multi9 vigi C60 Circuit breaker. 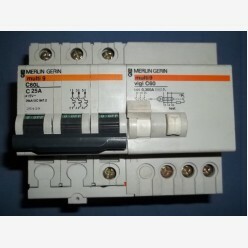 Merlin Gerin multi9 C60L C25A = 415V, Merlin Gerin multi9 vigi C60= 0,300A. 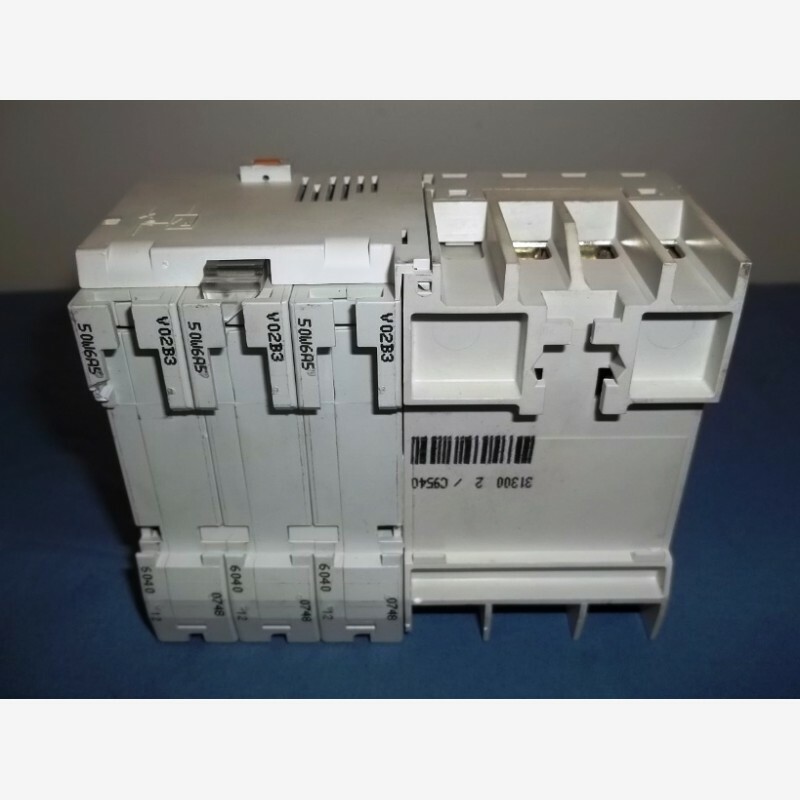 Do you have any questions about Merlin Gerin multi9 C60L C25A / vigi C60?